The Ausf.M was successor to the Ausf.L, and it shared the same 5cm KwK39 L/60 main gun. Among its modifications was a deep-wading muffler with a series of associated hatch seals that allowed fording of water obstacles up to a depth of 1.3m. This performance represented a significant fording improvement over earlier Panzer IIIs. The hull-mounted smoke generators were also replaced with three 90mm NbK dischargers mounted either side of the turret. A total of 250 new Ausf.M tanks were produced from October 1942 to February 1943. The flamethrower version was also based on the Ausf. M and 100 were built on new chassis. Though I do not think they have done them all, Dragon/Cyberhobby continues to fill in the blanks in their extensive Panzer III series. I can recall the hoopla made when they release their first Panzer III, the E version several years ago. Since then, they have continued to upgrade and update the molds. This one is a Smart kit with the individual track links. At a mere 500 parts, it is one of their mid-range kits in terms of difficulty. 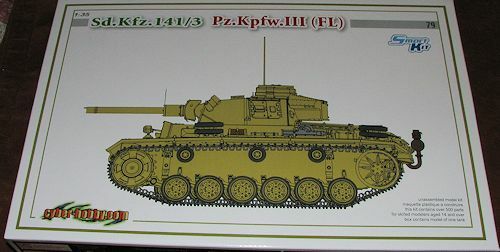 Like all their other Panzer III kits, this one has a number of options, most of which simply pin down when during the production run the tank was made. 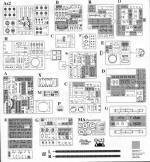 This kit differs from earlier Panzer III kits in having the DS tracks in place of the individual track links. It also has the extra bits and new barrel to make up the flame thrower version. Below is a full list of details. 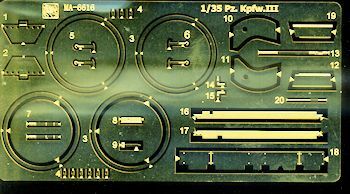 This kit provides but a single markings option; that of an unknown unit in the Soviet Union. 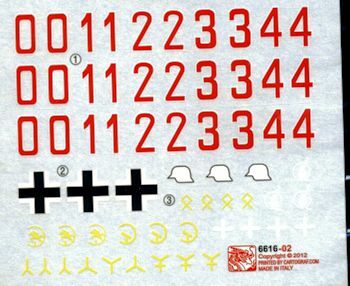 However the decal sheet offers a variety of hull numbers and unit markings so you can actually do a variety of different tanks, though you'll have to do your own research. 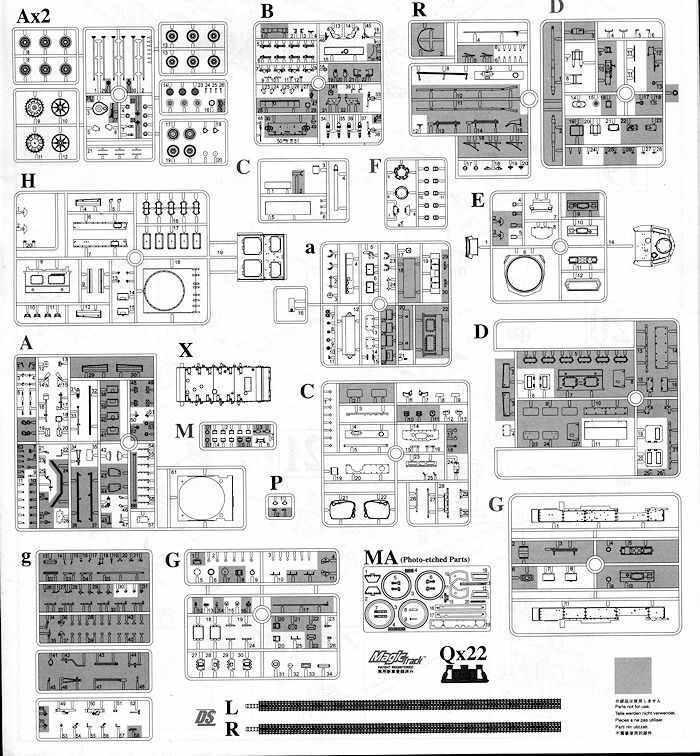 Cyberhobby has been providing a nearly bewildering number of variants and ones with special gear and this kit continues in that trend.This one needs to be built carefully, but will result in a fine replica when finished.